As a lawyer you're almost pre-programmed to take notes. It was part of surviving law school, and it's also common practice when consulting with a new client; so for most of us it's become a routine part of our day. Even in my leisure time I'm never too far from my notebook, a stack of index cards, post-it notes, or even a napkin so I can jot down whatever just popped in my head before I forget about it. So what good does all this note taking do? Well, if you're taking the right notes, and actually using them, you can be improving your legal marketing. Good legal entrepreneurs know that inspiration can come from anywhere, not just in your law firm's office or in courtrooms. 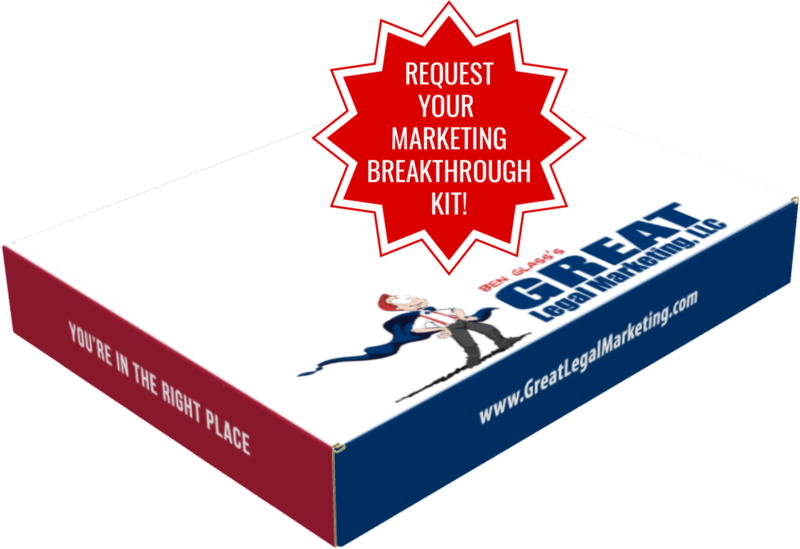 I've found that the successful attorneys out there who look beyond the legal profession for inspiration in their legal marketing methods are the ones who become the legal entrepreneurs. Remember that your ideal clients are just regular people who happen to need an attorney. You too are human, and many of your daily life activities are the same as your potential clients. Think about this when you're getting ready in the morning, when you're relaxing at home in the evening, when you're enjoying a weekend with the family. Keep that notebook handy, because while you're doing all these things, if you're a good legal entrepreneur you'll be thinking to yourself, "Is there anything I can learn for my legal marketing strategy here?" Let's say you're walking around downtown and you happen across a store that sells patio furniture covers. In their window is a poster for a patio furniture store, and inside on their counter they have business cards for companies that make custom outdoor furniture. "Hey, that's a great idea, cross-promotional marketing!" you think. Grab your notebook, jot this down, and continue on your way. A legal entrepreneur will later pull out his notepad while sitting at his desk and consider this idea for his own law firm. You're a personal injury attorney, so your potential clients will most likely also be visiting doctors to attend to their injuries. There's your ideal place to run a cross-promotional marketing campaign! My friend Dan Kennedy once told me that one of his earliest mentors said that you should be able to find some sort of idea worth writing down no matter where you are - even at a funeral. Legal marketing inspiration can come from anywhere, because let's face it, marketing and advertising IS everywhere. Even in funeral homes - how else do you think they get new business, they have to advertise somehow?